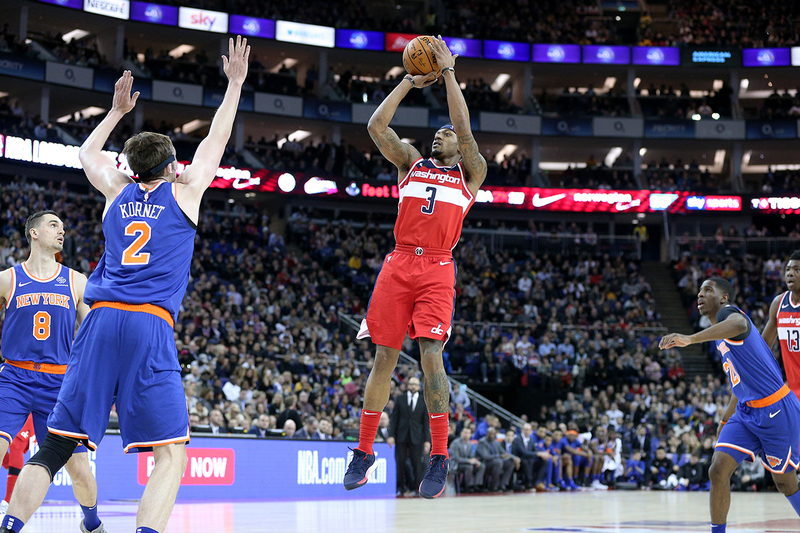 Bradley Beal set up Thomas Bryant perfectly for the game-winning basket in the 2019 NBA London Game, leading the Washington Wizards to a 101-100 victory over the New York Knicks. 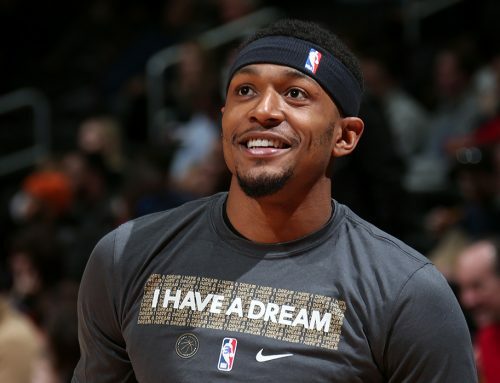 Beal scored 26 points while adding nine rebounds and four assists in 40 minutes played. 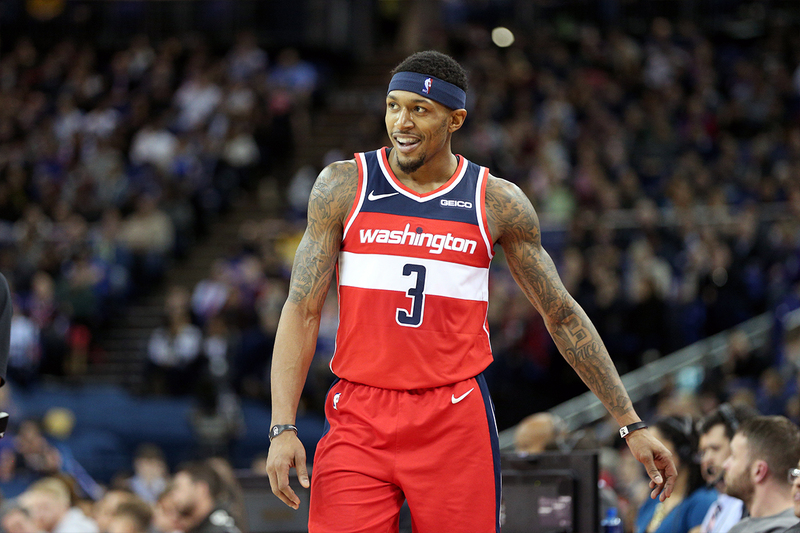 Although the Panda didn’t have his best shooting night, he came up clutch in the fourth quarter, helping the Wizards erase a 12-point deficit and emerge with the victory. Entering the final period, Washington trailed 89-77. 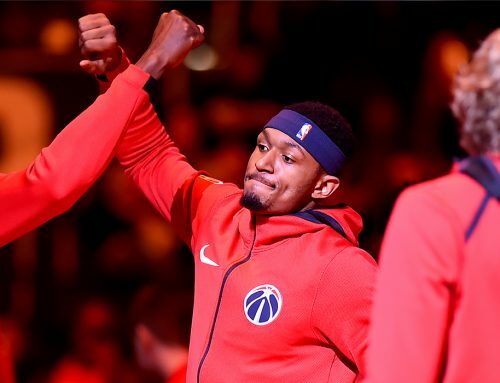 For most of the game, Beal and company struggled shooting from the floor and found themselves playing from behind, trailing by as many as 19 points in the second quarter. But the Wizards began the final frame on a 17-2 run, reclaiming the lead at 94-91 with 3:30 remaining in regulation. During this run, Beal nailed his only two three-pointers of the game. 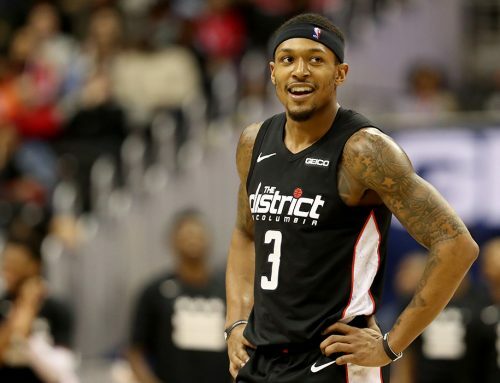 Later in the fourth with the game very much in the balance, Beal nailed a 19-foot step back jumper, plus a foul, and he converted the free-throw for a three-point play. The Knicks, however, wouldn’t go down without a fight, responding with a pair of Noah Vonleh hook shots, with an Emmanuel Mudiay three in between, to retake the lead at 100-99 with 33.7 remaining. Beal missed a three on the following possession, but Washington forced a shot-clock violation to get the ball back with 3.3 seconds and an opportunity to win the game. On a designed play out of bounds from half-court, Beal received the ball after rushing from the other end. He found himself open a few feet past the half-court line as Thomas Bryant set a pick for him. Beal caught the ball but slipped before being able to make a move. Fortunately for the Panda, Bryant sprinted towards the basket, and Beal found him for the game-winning shot. Bryant wouldn’t actually convert the basket after Allonzo Trier appeared to block the attempt, but the referees reviewed the play and determined the ball was on its way down, ruling a goaltending violation on the Knicks. Washington is now 6-and-4 in their last 10 games, and a win in London is certainly one to remember. In the days leading up to the game, Beal starred as the front man for organization, exchanging jerseys with Arsenal’s Ainsley Maitland-Niles before recreating a picture in Abbey Road made famous by the Beatles alongside team mascot G-Wiz, WNBA All-Star Elena Delle Donne and former Wizard 7’7 Gheorghe Mureșan. Washington will return to the United States looking to continue making a run towards the postseason. The Wizards square off against the Detroit Pistons Monday on Martin Luther King Day. Tip-off is scheduled for 2pm ET and can be seen on NBC Sports Washington.